Sorry for the late post. I had a busy week in the office and I did not have the time to create this post. Better late than never. I love events that gather various people who have the same interest and hobbies. It is because of this reason that I signed up for Blogapalooza, which was held last October 25, 2015 in One Esplanade. I have attended a few blog events, but they were not as big as this. 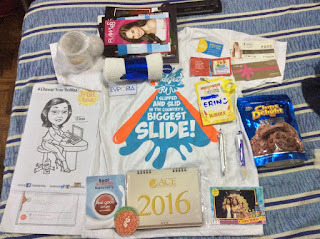 After attending the event, I saw that Blogapalooza is a convention for bloggers and for those who love to write. This is my first time attending and I had such a great experience because I learned a lot about blogging and met new blogger friends. Even though I expected a bit more, I still enjoyed everything because I saw blogging in a different perspective. I was very surprised when I went inside the venue because the place was packed with sponsors and exhibitors. I didn’t know where to start. It was a good thing I saw my new blogger friends and we came up with a little plan on going around the venue. After the event, there were booths that caught my attention and would probably stick to me for a long time. 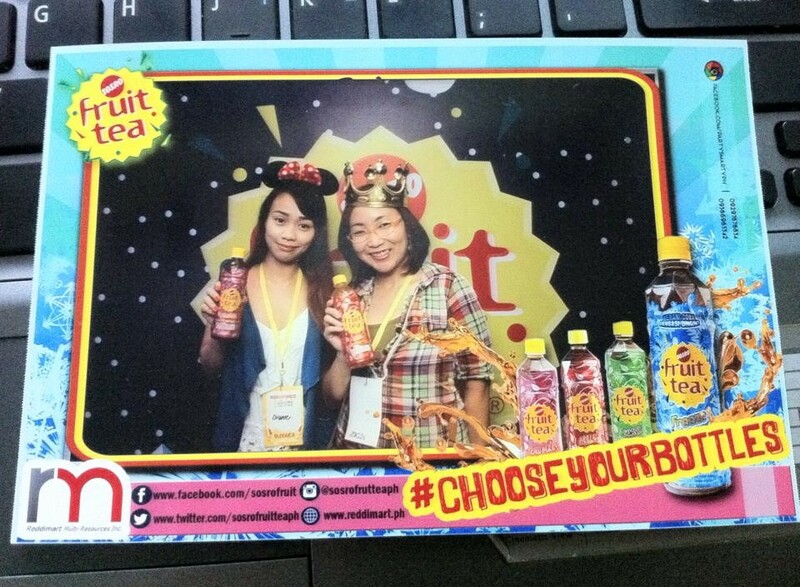 Sosoro Fruit Tea allows everyone to choose their own bottles from its distinct tea-infused flavors of Freeze, apple, guava, and strawberry. 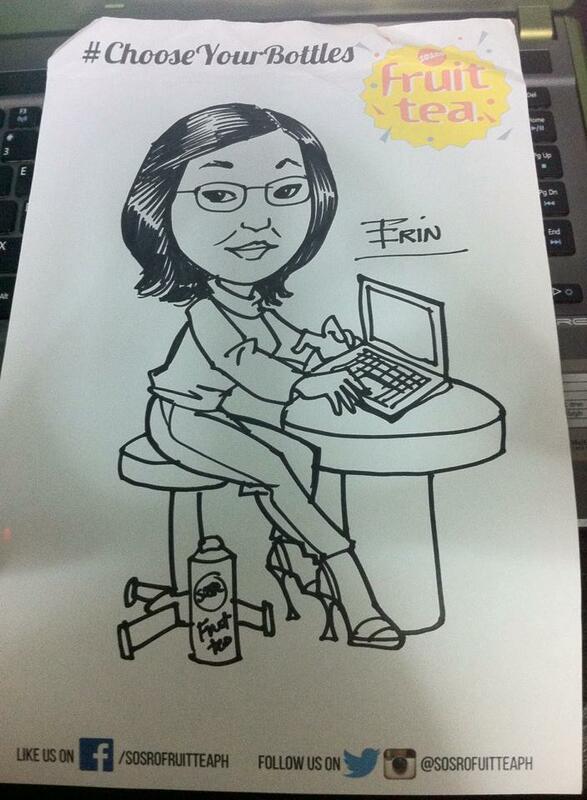 It is one of my favorite booths, as I was able to taste a new tea drink, had a photobooth picture with Diane Cheng, and got free caricature art from a great artist. I always loved tea drinks and tasting the Sosro Fruit Tea was good. I can’t wait for this new product to come out in the market soon. What caught my attention here is when they said I could take the stress level test. Feel Good Lactium is a new and unique food supplement made of milk protein hydrolysate that reduces stress. After playing a game, I took the stress level test. I was stressed on the week of Blogapalooza, so my results said that I was highly stressed hahaha XD I picked the Weight Management part, where I was advised to develop the right habits and, hopefully, I can do these to lose weight. Gaming Library provides board games that help strengthen family ties and create great bonding with friends. Whether you are a beginner or an expert, they have the right board games for you. In their booth, the staff invited bloggers to play a Korean game (I forgot the name, my bad), where we earn as many points as we can by letting different colored crystals fall using a mini mining axe. I got 50 points, but one of my blogger friends beat me. I enjoyd the game and plan to buy it soon. The Diff believes in the importance of self-expression and shows this through their customized phone cases. Their goal is to empower everyone to let their true self shine. According to Business Development Officer, Elora Picson, they support local artists and use their artwork on the customized cases. Customers choose the type of case that they want and upload any image they want, whether from The Diff’s arts or their own. I love customized cases, so I’ll be ordering from them soon. When I found out that Breakout Philippines was coming to Blogapolooza, I really got excited. In Breakout Philippines, participants need to solve puzzles and survive in various escape rooms for 45 minutes. I already tried one of their rooms, so it was really exciting to see their booth. I interacted with the staff about my experience there and about their services. After registering, I won a Slidefest shirt. 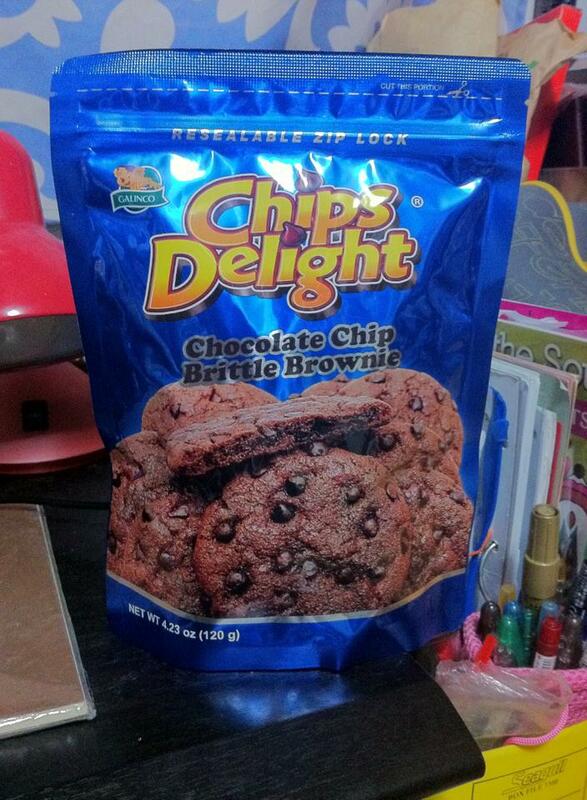 :D I cannot wait to try their Katipunan branch, which is nearer for us than their Mandaluyong branch. When it comes to relaxation, I am a fan of trying out different techniques. Some of those techniques are offered in Ace Water Spa. Here, I want to either experience the strong sprays of water massaging my body or just relax in their hot pools. 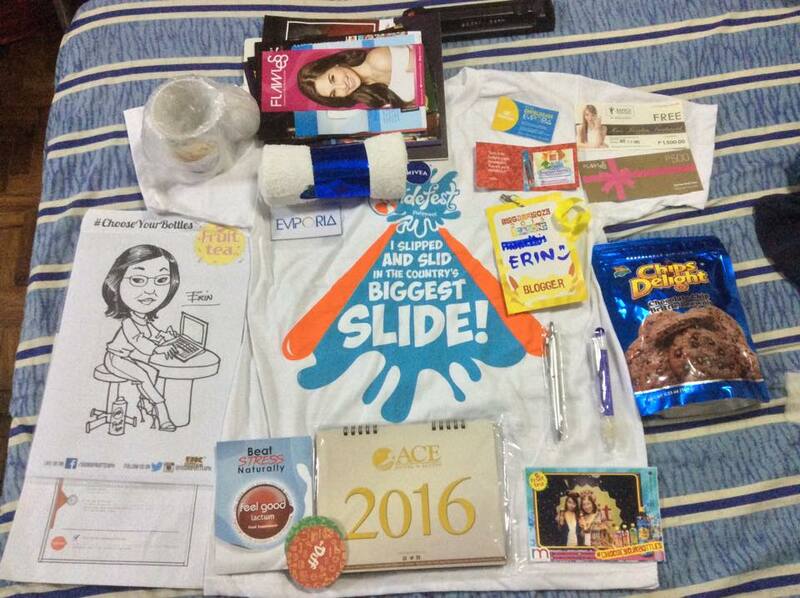 Thanks to the freebies that they gave me, I can learn more about their services. Last, but definitely not the list, is the I Am Cardboard booth. They make Virtual Reality accessible to the mass market by providing VR headsets based on the successful Google cardboard template. You just place your phone in the headset, play a clip, and have a feel of the virtual reality world. I love the concept and I am sure this is something my boyfriend will love. While going around the venue, a few happenings made the event even more special. I would say this is one of my most memorable experiences this year because I learned another part of blogging. After the event, I now know what I want to do with my blog---I have to start making it better. Most likely, it will have a new look before the year ends and I am excited to start. Thanks to Blogapalooza, I now have knowledge on to make my blog informative to readers. You can check for the rest of the Blogapalooza pictures in my Facebook page. Follow me on Twitter and Instagram. 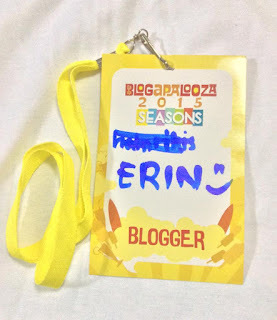 How was your Blogapalooza experience?